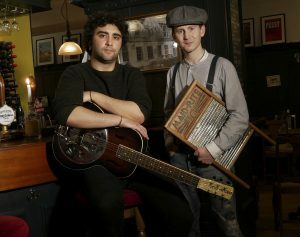 We are delighted to announce the latest addition to the Oxford Lindy Exchange 2019 live music line up! Our Saturday late blues hideaway features the The Rhythm and Booze Project. Felipe and Paul, are a duo who fuse live music and whisky through gigs, tasting events, and multimedia. Feel free to bring your own whiskey! OLX ticket sales are now live! Register for Oxford Lindy Exchange tickets are now on sale! Go to dancecloud https://oxfordlindyhoppers.dancecloud.com/dance/22571 to buy yours!